“Father, please don’t sy this again and again.” There were tears in Kazal’s eyes. Is voice shook with emotion. “You always stay my father.” By this time similar comments had been made before many and varied people. It was to become a further step in what has, in retrospect proven to be a very careful, perceptive and yet so apparently innocent plan for the near and distant future. By the rainy season, 1968, Kazal was back permanently and in charge of Thakur’s medical treatment. Bor’da was in almost constant attendance except for the few hours e sent at his home dealing with the problems administration. Borda’s eldest son, Asoke, now a lawyer and having spent much of his time organizing and integrating the huge Satsang following in Assam was called back to Deoghar by Thakur and requested by his grandfather to take care of him and assist his father, Bor’da, in his increasing responsilities. Asoke quickly became for this father what bor’da was to Thakur. 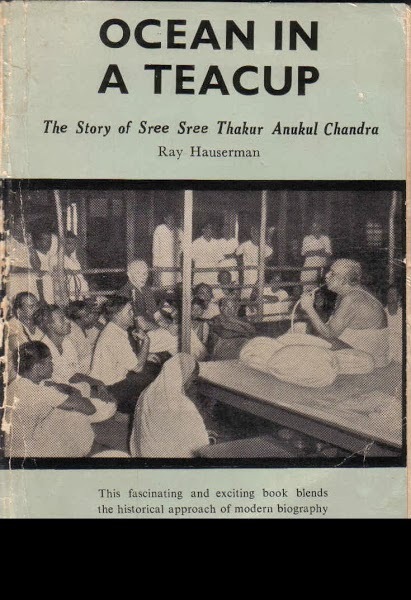 So, from July, 1968, besides Bankim-da, Pyari-da, Noni-da, Bishu-da and other experienced devotees who had been with Thakkur all their lives, now either Bor’da, Kazal or Asoke were in almost constant attendance. A few months earlier a ½ acre plot of land along the western side of Roini Road between Thakur Bari and Bor’da’s house had been acquired. Thakur shrugged off all suggestions to make ether a garden, a guest house or a retreat for himself. It overlooked the Darwa River which might someday flow with the Ganges and six milesin the distance was Digheria Hill behind which the sun set each evening and around which Thakur had awakened dreams of a 30,000 acre University City with an astronomy college and observatory on that hill. In October, 1968, Thakur looked out the window of his room, pointed to the oldest building in the yard, the building in which Thakur had first lived on coming to Deoghar and filled with memories and moments of exaltation and love. “Tear it down.” Thakur’s words were not a query or even a request. For one who refused to pull out an old, decayed tooth because”…. It had given so much service….” Or sell a twenty year old jeepfor the same reason, this peremptory command left all non-plussed. Thakur would not be denied and within a week the area was levelled to leave a large open area between Thakur and Boro Ma’s room. Through the later half of 1968, thakur would preface each request for some large project with the words, “… whether I live or die….” Get the university or hospital. Each such remark would be met by moving appeals from Bod’da, Kazal, other senior disciples “…please don’t speak that way, Thakur….” With folded hands and tear-filled eyes, hissons by birth and sons by culture appealed and prayed. It is believed that personalities like Thakur cannot ignore such appeals by a devotee. That made it easy: never allow him to be without one. He made that even simpler. For several years he had requested myself and others like me to come and live in Thakur ari near him. I had put it off. Several time he had requested Bor’da to live there. He perhaps felt the needs of the administration make it difficult. He put it off. Often he had requested Kazal to sleep with him at night. Perhaps feeling it was the over exuberance of a love father, he also delayed doing so. All planned to stay with him. But not just then. Later when it really would be necessary. But for the present we would live in the comfortable surroundings we were accustomed to. How innocently, how simply he exposed us all! We worked for his causes. We prayed for his health. We appealed to all to grow in devotion! By now Thakur could not move without help. Attendants were with him throughout the night. The winter came early in 1968. Heater were back again. Constantly he would repeat the phrase from Shakespeare : ‘There are more things twixt heaven and earth than are dreamt of in our philosophy, Horatio.’ And as we’d ponder this he’d add; ‘But for a nail, a battle was lost….’ What were those “things” ? What was that nail.